Two much-discussed phone calls Donald Trump Jr. made prior to the infamous June 2016 Trump Tower meeting were not to his father, CNN reported Thursday. Three sources “with knowledge of the matter” told CNN that records provided to the Senate Intelligence Committee establish that the calls to blocked numbers were actually between Trump Jr. and two unnamed business associates. With congressional Democrats expressing renewed interest in the National Rifle Association’s ties to Russia, the gun lobbying giant is making rare on-the-record comments distancing itself from a controversial 2015 trip high-ranking NRA officials made to Moscow. Michael Cohen will provide closed testimony to the House Intelligence Committee on Friday, Feb. 8, committee chairman Rep. Adam Schiff (D-CA) announced Monday. 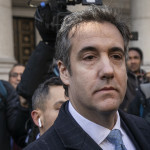 Michael Cohen is mixing up his legal defense team as he continues to cooperate with federal and congressional investigators, Cohen’s spokesman Lanny Davis announced Monday. A pair of new attorneys—former federal prosecutr Michael Monaco and criminal defense lawyer Barry Spevack—“will represent Mr. Cohen going forward as he continues to cooperate with the Office of the Special Counsel, the Southern District of New York, the Office of the New York Attorney General’s Office as well as the committees of the US Congress seeking testimony from Mr. Cohen,” according to Davis. 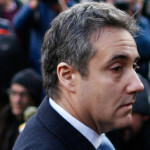 The duo will replace Guy Petrillo, the well-respected former chief of the criminal division at the Manhattan U.S. Attorney’s office, who helped Cohen navigate his plea deal in the financial crimes case brought by federal prosecutors from that office. 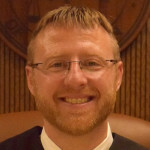 At Cohen’s December sentencing hearing, U.S. District Judge William Pauley applauded Petrillo’s “superb” representation. Amy Lester, Petrillo’s colleague at Petrillo Klein & Boxer and his co-counsel in the Cohen case, will also be departing from Cohen’s team. This switch-up of Cohen’s defense team comes as several congressional committees press forward with their efforts to compel the testimony of President Trump’s former personal lawyer and fixer. The Senate Intelligence Committee subpoenaed Cohen last week after Cohen backed out of a scheduled hearing before the House Oversight Committee, citing Trump’s “threats” to his family. It’s rare for a congressional aide to have her own mini-profile on the Southern Poverty Law Center’s website outlining her ties to extremist groups. Ahead of a court appearance Friday, Paul Manafort submitted a court filing pushing back on Mueller’s claims that Manafort lied to investigators after entering into a plea agreement. Manafort’s lawyers said that he did not share any “intentional falsehoods.” In court Friday, U.S. District Judge Amy Berman Jackson scheduled a hearing for February 4 during which she will assess whether Manafort lied. Former Trump attorney Michael Cohen was subpoenaed by the Senate Intelligence Committee on Thursday. Cohen will sit for an interview, presumably before he reports to prison in March. That sit-down will replace Cohen’s scheduled February 7 public testimony before the House Oversight Committee. Republican lawmakers on that committee complained this week that Cohen’s appearance would essentially be worthless as he would be barred from discussing the multiple federal investigations with which he is cooperating. Instead, they said, Cohen would use the opportunity to share unflattering stories about President Trump. On Wednesday, Cohen called the appearance off, citing threats to his family from Trump and Rudy Giuliani. The President has for some time been publicly urging investigators to look into Cohen’s father-in-law, Fima Shusterman, a Ukrainian immigrant who pleaded guilty to money laundering in the 1990s and reportedly provided one of the links between Trump and Cohen. The Senate Intelligence Committee also subpoenaed Jerome Corsi, the Roger Stone ally and conspiracy theorist. Mueller is probing the Trump campaign’s links to the NRA, according to CNN. An unknown company owned by a foreign government was granted permission to ask the Supreme Court to consider its appeal of a grand jury subpoena linked to the Mueller probe. Former GOP fundraiser and ex-Cohen client Elliott Broidy filed a new lawsuit accusing a trio of D.C. operatives of accepting millions of dollars from the Qatari government to extort him after hacking his emails. And Russian pop star Emin Agalarov, who brokered the 2016 Trump Tower meeting, is cancelling his U.S. tour after his lawyers were unable to negotiate the parameters of his testimony before Mueller and Congress. Who Directed ‘Senior’ Trump Campaign Official To Contact Stone About WikiLeaks? One looming question was introduced by Friday’s explosive indictment against Roger Stone: Who on the Trump campaign directed a senior campaign official to contact Stone about forthcoming Wikileaks releases of hacked emails hurtful to the Clinton campaign? 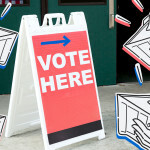 As states across the country move to restore voting rights to former felons, a spirited debate is underway over which, if any, of the various costs imposed during conviction should be factored into the restoration of basic civil rights. Michael Cohen is postponing his scheduled February 7 testimony before the House Oversight Committee, citing “threats against his family” from President Trump and his allies, Cohen’s lawyer announced Wednesday. Cohen was reportedly concerned that these mentions of his family members by the president could prompt Trump’s supporters to target him or his loved ones. “As we stated previously with our colleague, Chairman Jerry Nadler of the Judiciary Committee, efforts to intimidate witnesses, scare their family members, or prevent them from testifying before Congress are textbook mob tactics that we condemn in the strongest terms,” the statement said. Another reason why it might not make sense for Cohen to testify in the next few weeks: he’s still cooperating with multiple investigations out of the New York Attorney General’s office, the Manhattan U.S. Attorney’s office, and special counsel Robert Mueller. Cohen would likely be unable to discuss any matters related to those probes, as his statement suggests. Two Republican members of the committee sent Cohen’s criminal defense attorney a letter on Wednesday asking for proof that their client’s testimony would be more than just a “media stunt” given these constraints.